The Ferrer consultant offers the possibility to get the NIE Application,( Tax identification number). It´s the first step you should take prior to buying a property, or another kind of economical activity, and during this process we´ll be your legal representation, dealing with any issues which may arise. We deal with immigration resolutions, based on the knowledge and experience of our solicitors. The NIE is essential in order to start any kind of activity in Spain. This document is quite simple, it is issued on a A4 piece of paper with stamp from the Ministry of Interior, it contains details such as your name, date of birth, and your nationality as well as the assigned number. Nevertheless, the application process can be extremely exhausting for non-Spanish speakers, as most public servants do not speak English and are very impatient when explaining how to fill the form and what type of documentation to provide, besides the long queues to be assigned a date to submit your application. Some foreigners get frustrated during this application process either because they find themselves lost in translations or because they are obliged to go several times to the National Police Station to submit the NIE, because of missing documents. In Ferrer Agency we offer our client a solution to bypass this nuisance, providing and efficient and fast service, which solves their problems. If you are an EU citizen and you wish stay in Spain for more than 3 months you must register in the Central Register Foreign Nationals (Registro Central de Extranjeros). This document certifies the applicant´s residency in Spain, and it states the holders name, address, nationality and their NIE number, as well as the date registration. Ferrer Agency provides a NIE Application Process which allows client to obtain the NIE number without traveling to Spain. Our firm also provides the private sales agreement; this document will formalize the purchasing terms and conditions and should be signed by the purchaser, seller and the designation of a legal representation. It usually includes the form of payment, completion dates and once this contract is signed it is a binding agreement. The Private Purchase Contract creates a binding agreement between the parties and sets a completion date as well as the terms and conditions of the sales. 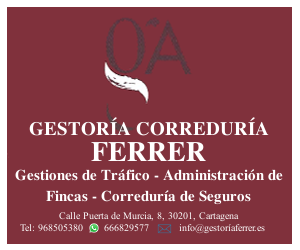 It’s usually signed between 2 and 4 weeks from registration, during that period Ferrer Agency obtains the certificate from the Property Registry to control relevant information for example property owner, encumbrances on the land and registered mortgages. Granting a Power of Attorney, formally must be done by a legal representation, either lawyer or solicitors ( art 10 del Real Decreto Legislativo 5/2004 de fecha 5 of March) to sign on your behalf. You can have the POA prepared while you’re in Spain, just make an appointment with the notary and he will oversee all the formalities. If any irregularities are discovered it may result in a criminal investigation which could lead to prosecution in relation to crime. You could be faced with a penalty of up to 6000€.